The law prohibits your employer from punishing you for asserting your rights under workplace safety laws. Both federal and state workplace safety laws prohibit your employer from retaliating against you for asserting your rights under those laws. Retaliation is when an employer makes any negative change in your working conditions to punish you for having asserted your rights under the law. Such negative changes can include anything from assigning you less desirable work tasks or shifts to giving you an unwarranted poor performance evaluation to denying you a promotion, demoting you, or firing you. In many states, you can sue your employer in court for retaliating against you for complaining about workplace hazards. You can also complain to your state's health and safety agency. To find out more, contact the workplace health and safety agency in your state. Unlike many states' laws, the federal Occupational Safety and Health Act (the OSH Act or OSHA) does not authorize you to sue your employer directly in court yourself. Instead, you must ask the U.S. Department of Labor's Occupational Safety and Health Administration (also known as OSHA) to intercede on your behalf. Whether you will prevail in your retaliation complaint often turns on whether you can prove that your employer took the negative action against you because you asserted your rights under OSHA, rather than for some other reason unrelated to your original OSHA complaint (for example, because your performance slipped or because economic cutbacks required layoffs). Be sure to back up your retaliation complaint with as much documentation as possible to show that your employer took the negative action against you only after you complained and for no other reason than your complaint. Once you have filed a retaliation complaint, OSHA will investigate and respond. If you prove that you were fired or otherwise punished because of complaining to OSHA, the compliance officer handling your complaint will attempt to convince your employer to take the proper action to remedy the situation. For example, if you were demoted in retaliation for your complaint, the OSHA compliance officer would probably ask your employer to reinstate you to your original position and give you the backpay to which you are entitled. 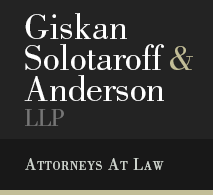 If OSHA is unsuccessful in getting your employer to reverse the effects of the illegal retaliation, it can sue your employer in federal court on your behalf.